Ever since I was in first grade, my teachers have been reminding me and the rest of my class not to cheat. It’s the usual talk, the one we’ve all heard a million times: “You’re only cheating yourself. It’s not worth it. It’s morally wrong.” Usually, as soon as the cheating talk starts, I zone out. As students, we’re all constantly exposed to cheating, and we’ve been exposed to cheating for years. At this point, it doesn’t seem like that big of a deal. Because of this, it’s always a shock when teachers actually do catch someone cheating, and the consequences seem unreasonably harsh. An automatic zero. A letter to your parents. A talk with your teacher or admin. A black mark on your transcript. A lot of the times, the consequences seem extreme to us because students understand better than anyone how hard other students work. Many times people cheat when the circumstances are dire. You need a high A on the test to get an A in the class. You were out all of yesterday for a baseball tournament. You have three different tests on the same day. So, for the longest time, I thought that schools were way, way too harsh about cheating and not nearly understanding enough about what students go through. It wasn’t until sophomore year of high school that I realized that what my teachers had been saying all along was true. Cheating is really bad. And it’s really not worth it. 10th grade, for me and a lot of my peers, was quite the jump from freshman year. We were struggling, and I felt like I was drowning in the waves of the infamous MVHS pressure and competitiveness. Everyone was constantly talking about, fretting about and cheating for grades, and since many people were struggling, the conversations often turned bitter. Till about halfway through sophomore year, I had never really blatantly cheated, but I would sometimes tell my friends about difficult test questions or listen if someone was talking about a test. One day, before a physics test that I needed a good grade on and was apparently quite hard, I decided I was done. I could ask for hacks and maybe do a little better, but I would only stress myself out even more. Instead, I decided to trust my abilities, and I haven’t remotely cheated since. When people asked me how hard the math test was or what was on the literature quiz, I would say nothing but a mellow “it’s fine” or “don’t worry about it.” And conversely, I stopped asking people about tests completely. Yes, I still cared a lot — too much, to be honest — about my grades. But I realized that cheating doesn’t make much of difference grade-wise anyway, and I was just so sick of constantly worrying about my grades. It was only after I stopped cheating that I realized how much cheating can negatively affect students, teachers and the overall school environment. Cheating drives wedges between students. It’s really not fair to the person in first period who studied hard to get a worse grade than someone who just asked for answers in sixth period. Moreover, cheating ruins the accuracy of assessment. Although we often forget it at MVHS, tests aren’t just a large amount of points in the gradebook; they’re a way for teachers to understand how well their students are grasping concepts. If we just blatantly cheat on our assessments, we are actually misleading teachers and preventing them from improving the way they teach. Not to mention, the whole point of tests is to study and understand the concept, and cheating keeps us from working hard to really learn the material. Not to mention, cheating is morally wrong. I can say for a fact that I am proud of myself for not cheating anymore, and I’m proud of myself for earning my grades through my own work (even if they’re not great grades). As a student, I want to be proud of myself when I get a good grade, and I can’t do that if my grade is courtesy of my friend in third period. On a larger scale, cheating does nothing but worsen MVHS’ already overly academic environment. If we all stopped cheating, we could actually focus on learning rather than being purely grade-oriented. Devaluing those three extra points we could obtain from frantically grilling our friends at brunch will help us keep grades and their importance in perspective. And because of the plethora of negative effects that come with cheating, it’s actually incredibly important that the consequences of cheating be equally harsh regardless of who cheated and what situation they’re in. Consequences are necessary to help students understand that cheating should not be taken as lightly as it currently is. And even though it may seem unreasonable to punish kids who are stressed or extremely busy, if it helps us students realize that a .4% grade boost is not worth compromising our character as people, then every consequence of cheating is worth it. Very few students at MVHS genuinely uphold academic integrity. Whether it be sending homework to each other, inquiring about the contents of tests or flat-out plagiarism, it’s all one thing: cheating. The question is whether these varying extents should be penalized in the same way. Throughout my high school career, I’ve tried my best to uphold my integrity. I correct teachers when they’ve accidentally given me a grade too high; I’ve admitted to not doing homework as opposed to copying it. At the same time, I know almost every single one of my counterparts cannot say the same about their own actions. One day, however, I had a lapse in my ethics. My dad was on a business trip, my sister was in college and my mom terribly sick. I spent the entire evening taking care of her and the entire night unable to concentrate with all the coughing and sneezing. The next day at school, I realized I had forgotten my homework and quickly began scribbling my partner’s work down. Unlike many of my fortunate peers, I was caught by the teacher. It was one of the worst experiences of my life. I don’t condone cheating or academic dishonesty in any way, but I think it’s crucial that teachers or administrators take into consideration the different circumstances each student is under. That day, all I could focus on was fulfilling my duties as a daughter, yet I was spoken to by the teacher as a criminal in the classroom: looked down on, disgusting. Though it didn’t go on my permanent record, it very well could have. Things like this have the potential to ruin students’ academic futures, or at the very least inhibit them. In many cases, people are just too lazy to do the work, and those people truly deserve to be punished. But for the few who have legitimate reasons for being unable to, they deserve the benefit of the doubt, though they rarely receive it. Many teachers write up referrals or give automatic zeros on the assignment. It doesn’t matter what drove the student to that point, all that matters is inflicting punishment. Life isn’t black and white. There is no such thing as good or bad, and we can’t label students as ethical or unethical based on lapses in judgment. When students try to justify, teachers call it giving excuses and dismiss them without a second thought. 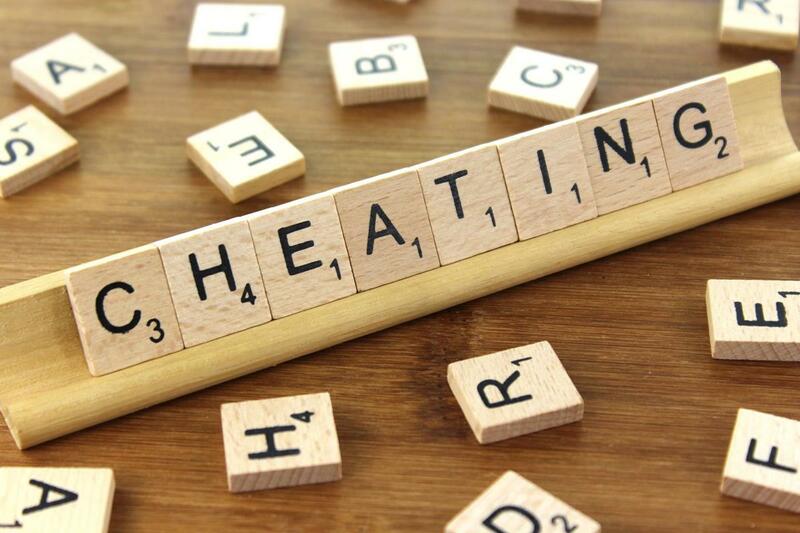 Every possible factor should be taken into consideration when determining the consequences of cheating. This doesn’t just go for homework and assignments, which can easily be remedied by late passes or extensions. How often are students caught cheating on tests without being given the benefit of the doubt? It’s taboo to even speak of, let alone indulge. It is so rare that a teacher takes the time to inquire why a student is doing what they are doing. Students get shoved into these high pressure atmospheres, and when they succumb to the pressure by cheating, potentially with some kind of reason, they are treated like felons in the classroom. It isn’t just about what goes on the permanent record. Students caught for cheating are looked down upon by their teachers, their peers and even themselves. The thought of a one-time slip-up ruining their academic records is a deep psychological burden. If teachers can find a way to forgive, or at least understand the students, maybe students will begin doing the same for themselves rather than being filled with self-loathe over a mere mistake. If teachers spent a little more time understanding the crime, the punishment may not have to be so severe. Whether this be getting off with a warning or simply redoing the assignment or test, these kinds of things show students that their teachers are on their sides. Cheating is in absolutely no way excusable, but if we dig a little deeper, though they may be few and far between, we may discover students with a lot more going on who don’t deserve to be labeled unethical whether it be in record or in perception; with consequences dependent on the circumstances, we could potentially change someone’s life forever, both by averting unfair punishments that could ruin their careers, as well as teaching them the gift of empathy.